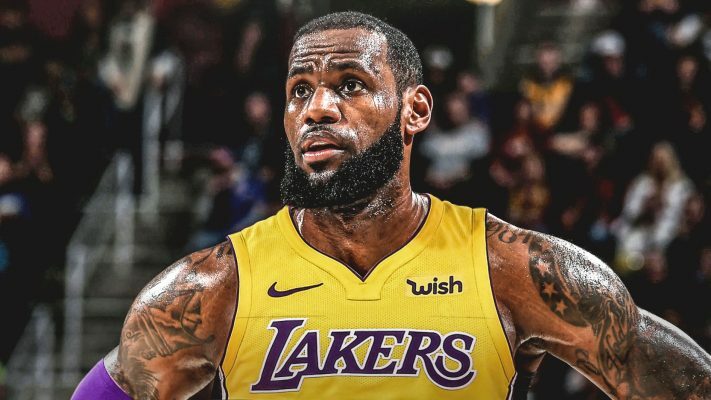 While the signing of NBA great Lebron James has many experts thinking that the Los Angeles Lakers are a real contender for the NBA title this upcoming season, the reality is that most oddsmakers still believe that the Golden State Warriors are the team to beat, now more than ever. The reasons are obvious. It is true that James makes the Lakers a much better team, but if Magic Johnson had come out of retirement L.A. would be better. They were just that bad. It is likely that at least two more veterans will join this team. They signed G Malik Newman, and many are supposing that C Dwight Howard may not be far behind. There was also a lot of talk about adding Chris Paul or even Paul George, but as of right now, these two are out of the picture. The Lakers also signed Lance Stephenson and JaVale McGee, a duo of veterans that should further improve the team, giving more depth on the bench, but still, one has to wonder if these veteran additions would be enough to take the Warriors off the throne. While Lebron is a talent like no other in the sport, he has the same problem in Los Angeles that he had with the Cleveland Cavaliers down the stretch – no offensive support. Isaiah Thomas joined the Lakers late last season and he performed well in his 17 game audition, averaging 15.6 ppg, but he shot only 32 percent from three-point land and you simply have to get better production out of your guards. In addition, Thomas is a guy who has to have the ball in his hands to be successful, and James needs the ball as well. This could create friction right away and may be the reason why Thomas was sent packing from Cleveland during the year. A similar scenario seems to be playing out in L.A., as Thomas is reportedly negotiating a deal with the Orlando Magic. While a little mercy needs to be shown to G Lonzo Ball, the fact remains that he did not show the kind of progress you expect from the second overall pick. Ball led the team with 7.2 assists per game and averaged 1.69 steals per game, but his 10.2 ppg is disappointing to say the least. He is not a good shooter and is better when he has the ball in his hands. In addition, one has to wonder how much of a chance the second-year player will be given with the Lakers. His father has shot his mouth off all year long about Lebron and gave the Lakers management an ultimatum that they had better not try to trade his son. Getting rid of Ball for a shooter may be the only chance this team has to get a quality young shooter. Julius Randle averaged 16.1 ppg last season, but he is a power forward. Clearly, he is not going to take Lebron’s spot and may have to play off-position to see the floor. No one can argue with the fact that two of the five best basketball players on the planet make Northern California their workplace. Stephen Curry and Kevin Durant are arguably two of the best three players in the league, and that is hard for most teams to match up against. While this is an impressive pairing, the truth is that it is the depth of the Warriors that makes this team so good. Draymond Green is likely a top 10 player, and many would consider Klay Thompson as a top 10 or at least top 15 player. With Andre Iguodala, Golden State has five of the best 30 players in the league. Los Angeles currently has one. Now the rich have just gotten richer. The Warriors signed C DeMarcus Cousins, a move that gives them another top 25 player. Cousins was limited to 48 games last season because of injury, but he still averaged 25.2 ppg, and has a career average of 21.5 ppg. With Golden State being such a good shooting team, Cousins is going to get a lot of open looks down low and could have a career year. It is true that he has always been a bit of headcase for coaches, but this is a veteran team that is not going to put up with anyone making it about them. Kevin Durant understood this when he came to the Warriors and he helped them win two titles. If Cousins understands his role, he will be holding the championship trophy in his hands come June of next year.